Get Your FREE Report 5 Steps to your own Tropical Paradise & Newsletter with Special Offers! Wow we won! We were awarded the BEST (Little) Garden Centre in SA for 2017. Come and see why. 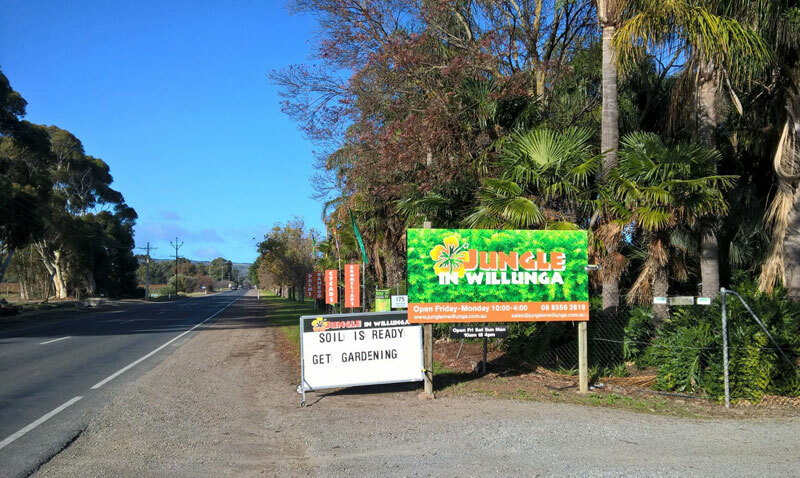 The Jungle is also a great place to bring children and explore our jungle garden right here in Willunga. We are now open 7 days a week 10am-4pm. And so say all of us....good luck with that chocolate folks. What a gorgeous combination! Frangipanni in the background, then Philodendron spilling into the water feature with pond plants. We stock all these tropical beauties ready for creating a jungle paradise at your place. Indoor pots for every type of beauty....from $19.95. Jungle up today! Yes we are open all Easter, come and visit, bring the kids, bring your nana, bring your dog....we love visitors! Kids are welcome to bring their families and look for wild animals, swing in the climbing net and even find our Fairy Fern Grotto. All for a gold coin donation each. Yes we're open all Easter weekend 10-4. 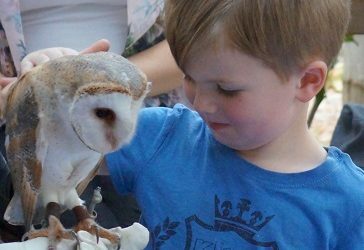 Plus we have school holiday adventures coming up this week - check out our page for details. Gracilis (Slender Weavers) Bamboo is Australia's best selling bamboo and it's easy to see why! 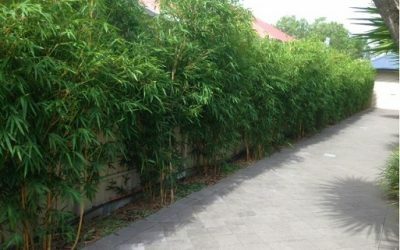 This beautiful screening bamboo is only $88 for a 200mm pot. Or 5 for $400! And we're open all Easter weekend 10-4. Check out all our Bamboos! Bamboo: An instant green screen, block out neighbours, fences etc and create beauty and tranquility easily TODAY. Our shop is bursting with wall art, pots, quirky designs of all creatures great and small. Local expertise and the best range of tropical plants in Adelaide: Begin the transformation today. Bamboo our specialty. A tropical oasis in SA! Our Jungle was created over 25 years ago and is now a tropical paradise. Come and see what your place will look like in the future. 5 Steps to your own Tropical Paradise & Newsletter with Special Offers!